You can watch video tutorial or read this step by step text tutorial.. 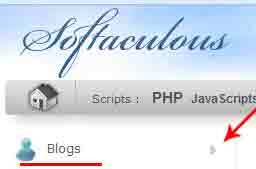 Step 2: Type "Softaculous" in searchbox or Scroll down and click on "Softaculous" Icon. 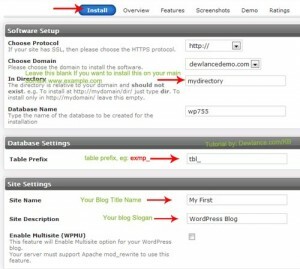 Step 3: In Softaculous, Expand "Blog" menu and then click on "WordPress"
Directory: If you want to Install wordpress on your Main Domain(Eg: example.com) then Leave this field as a blank field or If you want to install in a directory then enter directory name like "Blog" and softaculous will install your blog on your domain "example.com/blog"
Database Name: Leave this as it is. Table Prefix: Leave this as it is or change to some other name like "wpzz_"
Admin Username: For security reason we recommended you to change default admin username to other username like "myadminaccount" or something else. 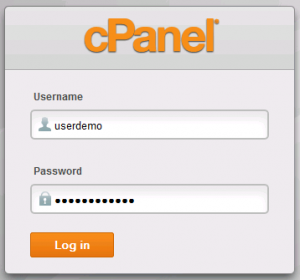 Admin Password: Click on "Key Icon" to generate a random password or enter your own password. Select Language: WordPress Default language is english, or chose your native language. 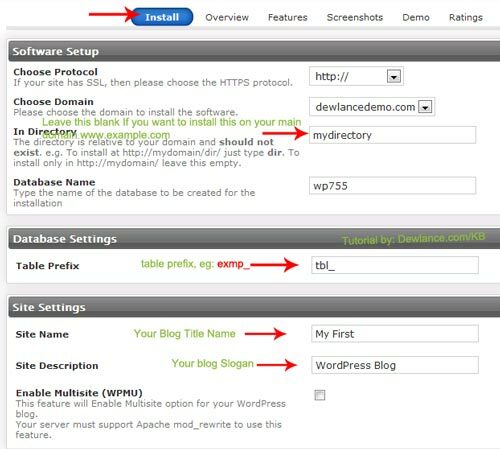 Final Step: Finally Click on "Install" Button, wait for few second and Softaculous will show a Success message like "Installation Completed, with your full wordpress blog address and Admin Area URL.